In Ms. LeGuin’s much lauded story, The Ones Who Walk Away from Omelas, we are greeted with a society where all is well but for one particular fact. A single child must be always kept in misery in order for the city to function and for the citizens of the society to be happy. Most citizens learn to cope with fact and accept it. 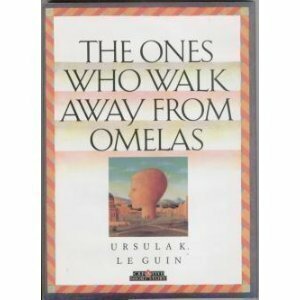 However, some people walk away from the Omelas and from utopia. In the book by Ms. Habakus, Ms. Holland and Ms. Rosenberg, we are presented with the notion that we currently live in a such a society ourselves. The book asserts that by forcing vaccination on children when we know (or more accurately they believe we know) vaccines will harm our children, we are allowing ourselves Omelas. Their book repeatedly implies that Ms. LeGuin, an advocate of complex and intelligent thinking, endorses this view. Completely disturbed about this ridiculous assertion, I contacted Ms. LeGuin’s agent. I told her that Ms. LeGuin’s story was being used as the basic framework for an anti-vax book. I asked if Ms. LeGuin was aware of this fact and endorsed such views. I was informed that the elderly Ms. LeGuin receives many requests for the use of her story each and every month. I was also informed by her agent that Ms. LeGuin routinely grants such permissions. I was also informed that the agent was fairly sure that Ms. LeGuin was not in fact against vaccines. The book was published in 2011. Since then, I have yet to see any indication by book’s authors that Ms. LeGuin does not share their views. Nor have they admitted to probably taking advantage of an elderly lady to advance an agenda she does not support. This is inexcusable. Ms. LeGuin primarily writes so called “soft” science fiction in which concepts taken from the social sciences are emphasized rather than those taken from the harder sciences such as chemistry and physics. However, Ms. LeGuin’s books are based on sensible and humane ideals. There is no indication that Ms. LeGuin has ever been or is currently anti-vax. When one considers that anti-vax views are based solely on a sheer refusal to understand science, this is a gross disservice to one of our most deservedly beloved writers. Which brings me to the heart of the problem. The entire book by Ms. Habakus and company is also based on another false premise. Ms. Habakus and her fellow anti-vaxxers repeatedly assert that we are deliberately and knowingly sacrificing some children in order to protect other children. In their world, a world as fictional as anything ever created by Ms. LeGuin, the American government is willfully forcing parents to knowingly inject their healthy children with substances that are known to be unsafe. Ms. Habakus and her fellow anti-vaxxers argue that parents have an inherent right to choose what they imagine is best for their own children. And if they choose against vaccination, no one should question that choice or restrict it. The problem with this argument is that people are not just making a choice for themselves when they choose whether or not to vaccinate. They are also choosing for other people as well. A significant subset of the population cannot get many vaccines. This includes small babies who do not produce an adequate immune response as well as those undergoing treatment for diseases such as cancer that may compromise their immune systems. Surely such vulnerable members of our society also have the right not to be Omelas? Surely they have the right to avoid being hurt by those who find quackery credible? Another problem is that there is no evidence that children who are harmed by vaccines would not be also harmed by vaccine preventable diseases. In fact, we have every reason to believe that actual cases of such diseases would be more harmful to those who are susceptible to any potential side effects from vaccines. Measles, for example, is one of the world’s most contagious diseases. Someone who is exposed to measles but has no immunity to it will face an over 90% risk of getting the disease. Measles is not a fun time. A child who reacts badly to the MMR vaccine may also react badly to an actual case of measles. Someone who cannot get a vaccine should not discourage vaccination altogether. Rather, they should do everything possible to encourage vaccination for others for whom vaccination carries very low risks. Should more people take the “advice” offered in this book, the effects could be potentially serious and even deadly for the very people the book insists it is protecting. In short, this book fails on many fronts. 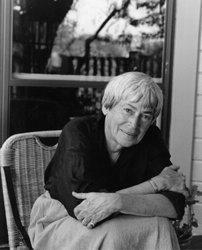 The authors owe both Ms. LeGuin and their readers an apology.